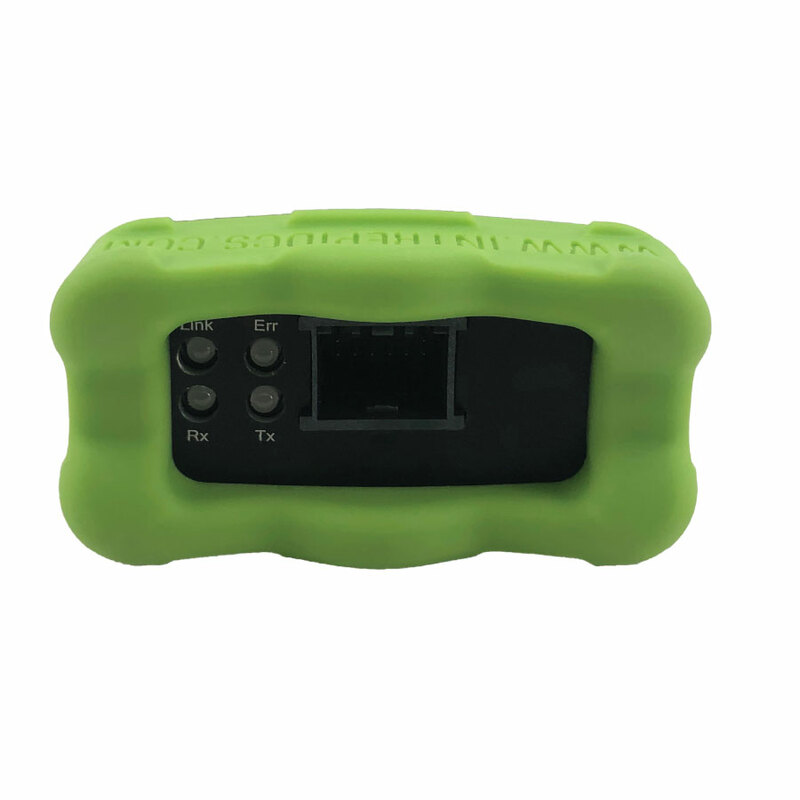 The RAD-Moon Duo is a Dual media converter for connecting to two port of 100BASE-T1 physical layer to two port of a 4-wire 10/100 Ethernet (100BaseTX). 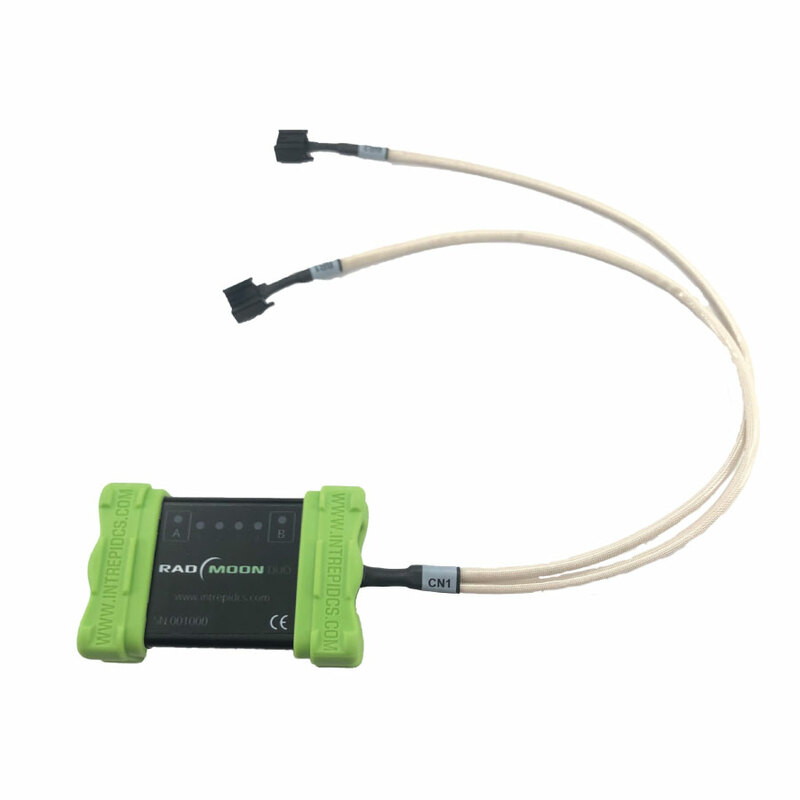 With its low cost, compact size and high performance, the RAD-Moon Duo is ideal for monitoring, analysis, diagnostics and other applications in an Automotive Ethernet environment. 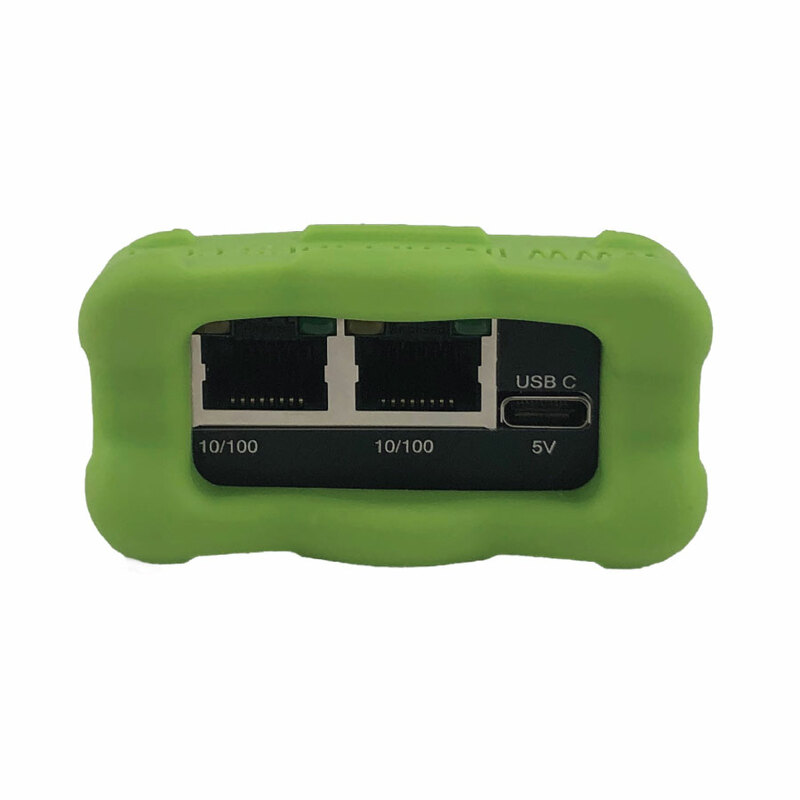 The RAD-Moon Duo contains two different Ethernet physical layer implementations (PHYs) that are internally connected: 100BASE-T1 and conventional 10/100 twisted pair Ethernet. 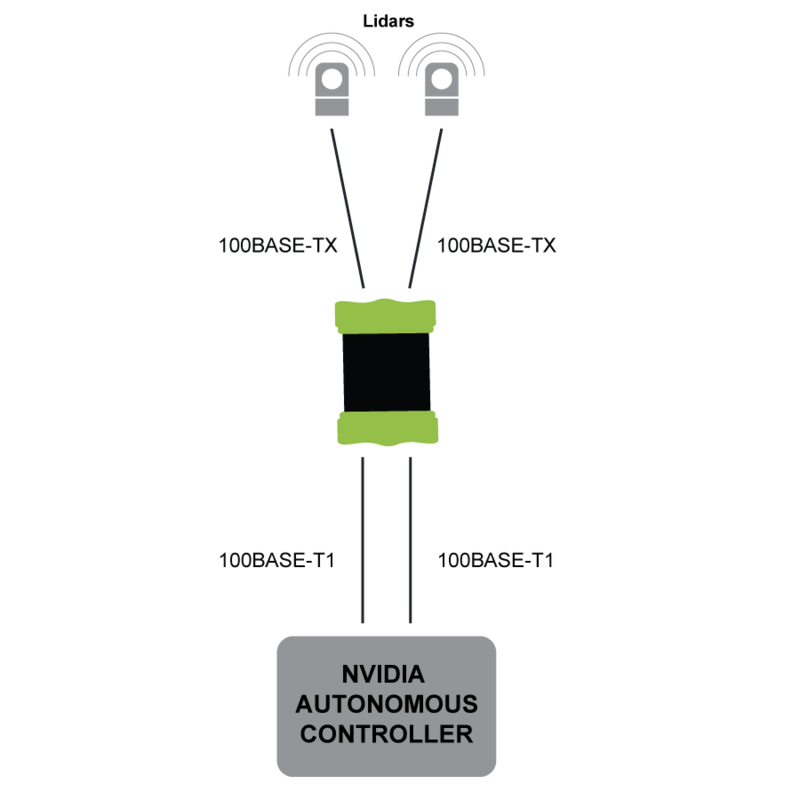 Whenever any data is received over either connection, it is automatically sent out on the other, creating a seamless link between the two attached devices. Full-duplex operation is supported, so data can be sent in both directions simultaneously. * Can also be used with BroadR-Reach®. 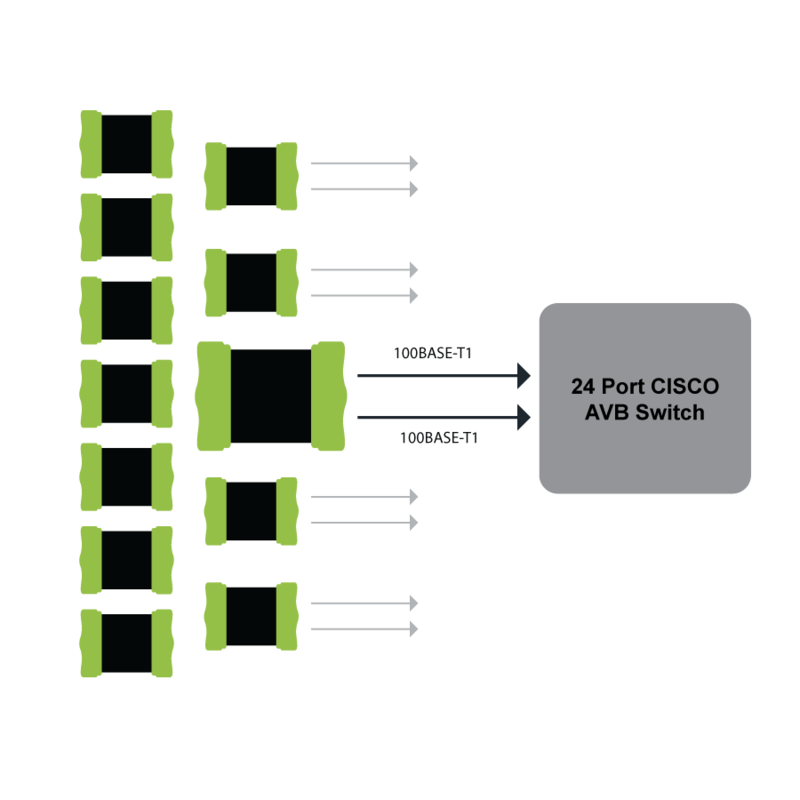 Connect up to 12 RAD-Moon DUOs to a 24 Port CISCO AVB Switch. 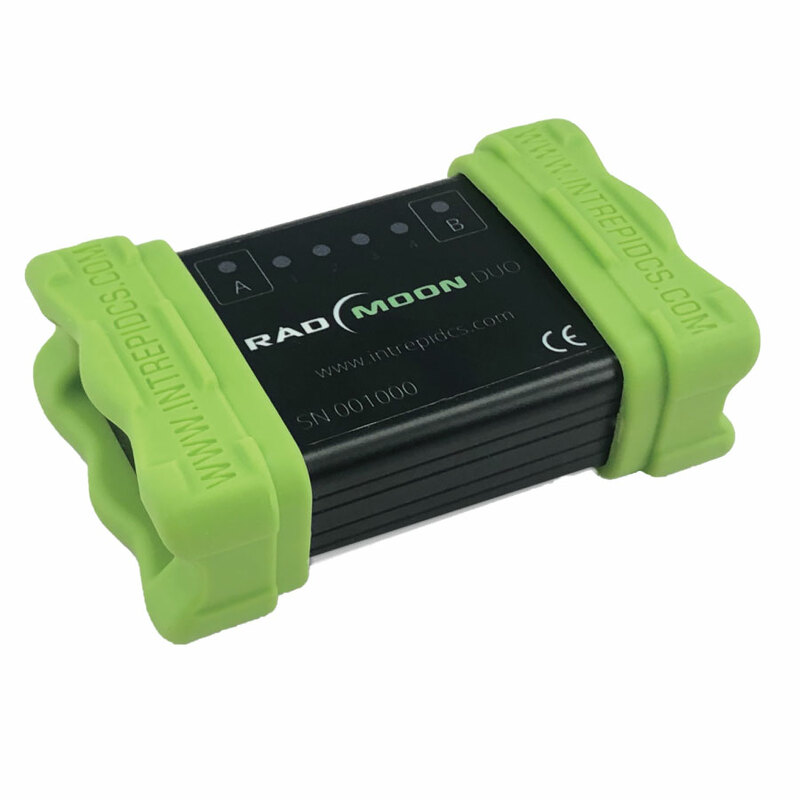 RAD-Moon Duo single channel can be used to Transmit and Recieve Ethernet Messages using Vehicle Spy.